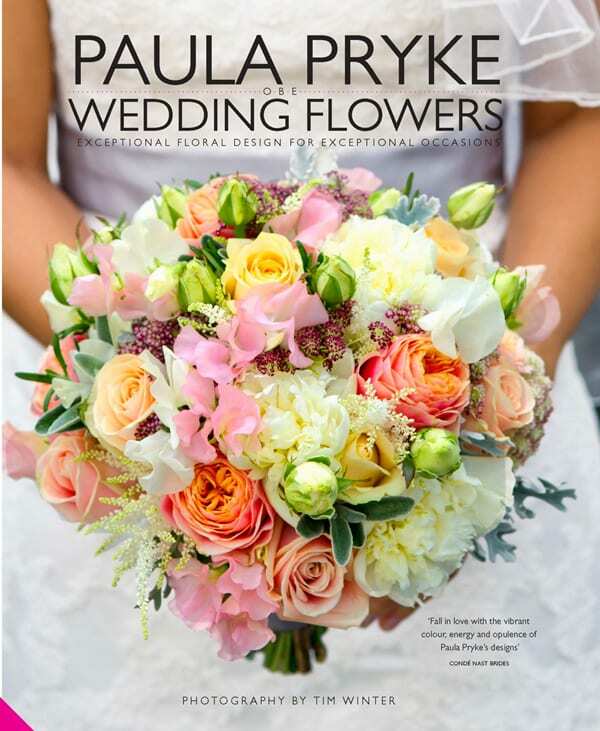 Last night, I went to the book launch of Paula Pryke OBE’s new book, ‘Wedding Flowers’, in London. It was lovely to see Paula and her team, plus chat to lots of people involved in the floristry industry. I recently received a review copy of the book, which is officially released tomorrow. And in this week’s Wedding Wednesday blog post, I’m delighted to feature a review of it. If you’re a bride-to-be looking to add impact to your big day with colourful blooms, then this is definitely the book for you! 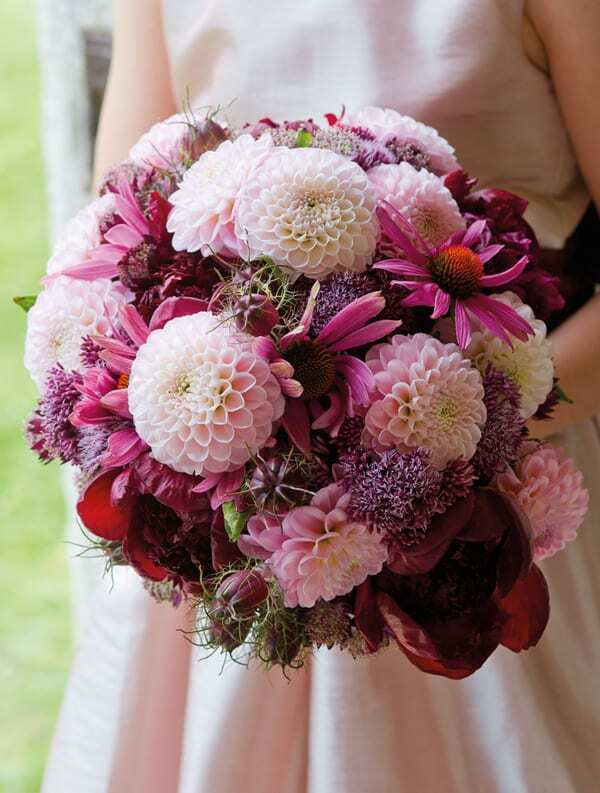 Paula is renowned for her use of colour and ‘Wedding Flowers’ is brimming full of gorgeous floral designs, rich in a kaleidoscope of different hues. 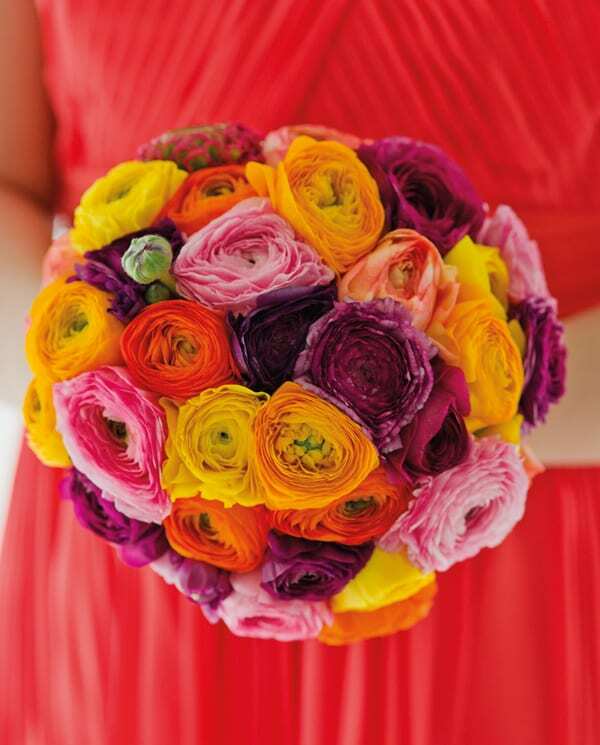 Aren’t the multi-coloured ranunculus in this bridal bouquet below just exquisite?! The book comprises of four main sections: Wedding Flowers, Wedding Themes, Floral Decorations and Flower Palettes. 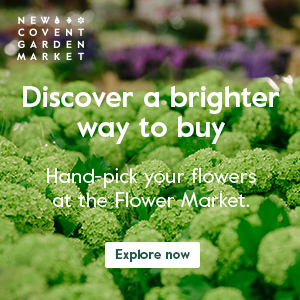 In the first section, there are overviews of popular wedding blooms from ranunculus and peonies with their masses of ruffled petals, to classic roses and blowsy dahlias. 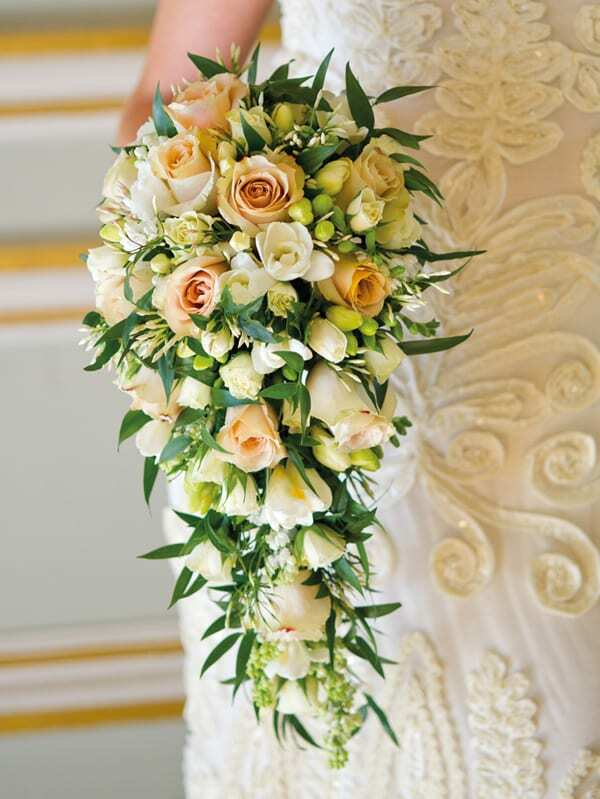 In Wedding Themes, we’re treated to eight different styles on which to base your wedding flowers. From Bright Glamour and High Country to Hot Pink Shades and Glowing Garden. Floral Decorations is the section where you’ll find a wonderful array of wedding flower designs themselves including Bridal Bouquets, Buttonholes and Corsages, and arrangements for The Reception. In the last section, Flower Palettes, Paula takes you through the seasons and provides details about flower availability from early spring to winter. And throughout the book, there are 29 step-by-step projects for bouquets and arrangements for those who would like to do their own wedding flowers. 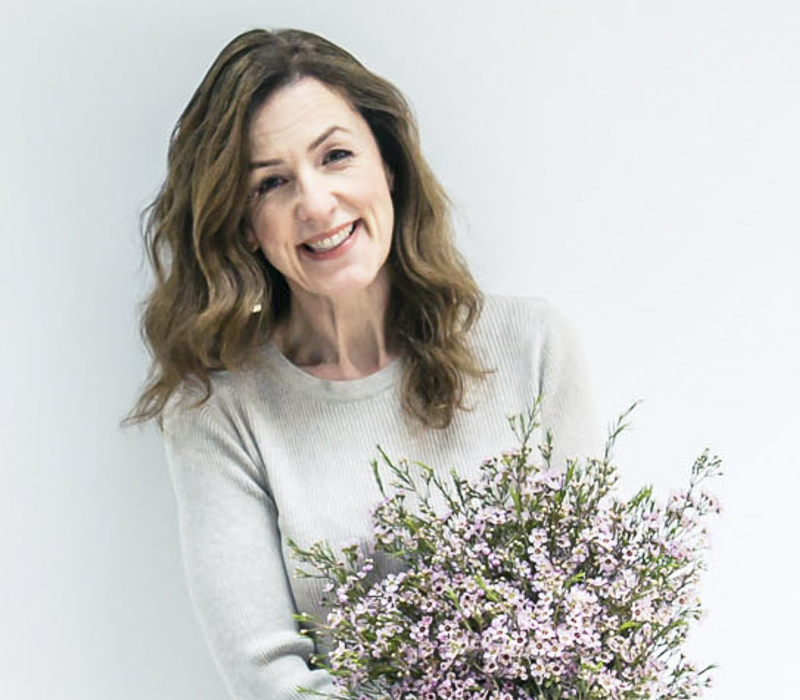 Published by Jacqui Small, ‘Wedding Flowers’ is the perfect book for not only brides-to-be, but also florists-to-be and florists who are looking for inspiration. If you would like to order the book at the discounted price of £24 including p&p* (RRP: £30.00), telephone 01903 828503 or email mailorders@lbsltd.co.uk and quote the offer code APG273. *UK ONLY – Please add £2.50 if ordering from overseas. P.S. To read more about Paula and her floristry career, here’s a link to an in-depth interview, which I featured on Flowerona last year. 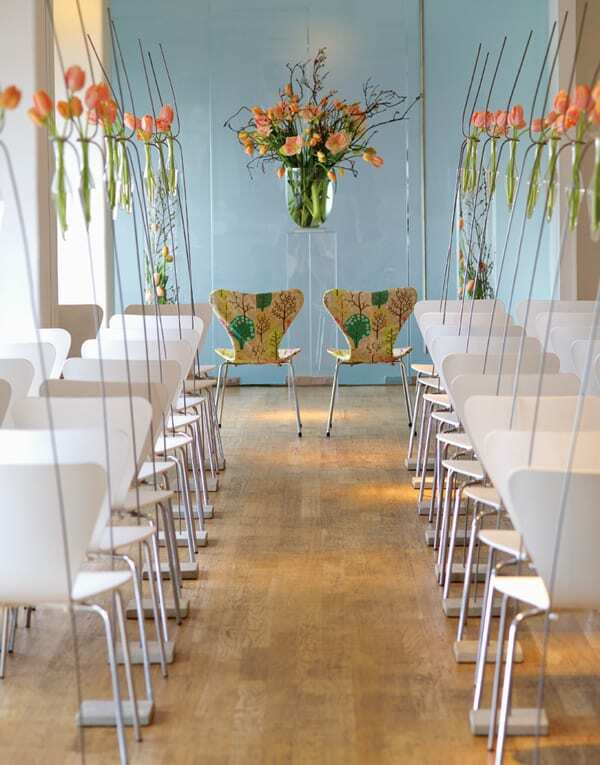 Paula Pryke was in my early years as a florist, the person I looked to for inspiration. I have always admired and appreciated her style and fearlessness in the use of colour shape and form. Paula so deserves success with her new book, both for new ‘fans’ of her work and those of us who have followed her from the beginning. She is as delightful to work with, as her artistry portrays…A truly gifted and generous ‘one of a kind’! Over the years I have collected all of Paula Prykes books, I even collected every flower article she did in the Marks & Spencer’s magazine, they were always (and still are) a massive inspiration to me to become a better florist. Today I have achieved Level 5 City & Guilds thanks to her setting off a spark of creativity. I cannot wait to get my hands on this new book. Dear Amanda, Well done! I never got to Level 5 so Congratulations! Thank you so much for your kind words. It does mean a lot to me when people say that they have been inspired by my work. The book is No1 one on Amazon in the craft section so I know a lot of people have already bought it. Thanks for buying my books, if you had not, I would not be on NO 17! By the way the monthly articles I used to write where for Sainsbury’s Magazine when Delia was at the helm. I may have been in M&S too! Enjoy your weekend! Thanks again. Paula . Thank you Paula, for sending a response! not necessary but most welcome!…….anytime! !